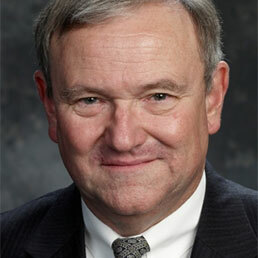 Dr. Bill Curtis (1948) is an American software and organizational scientist. He is best known for leading the development of the Capability Maturity Model  (CMM for Software) and the People CMM  in the Software Engineering Institute at Carnegie Mellon University. He co-founded TeraQuest, a provider of CMM-based services, which was sold to Borland Software Corporation in 2005. He has published 5 books, over 150 articles, and in 2007 was elected a Fellow of the Institute of Electrical and Electronics Engineers for his career contributions to software process improvement and measurement. Dr. Curtis is an active participant in ISO JTC1 SC7 WG6 for Software and System Product Measures. Bill Curtis was born in Meridian, Texas in 1948. He graduated from the Fort Worth Country Day School in 1967 where the Bill Curtis Award is given annually to the undergraduate boy whose performance contributes the most to the athletic program. He received his B.A. in mathematics, psychology, and theater in 1971 from Eckerd College in St. Petersburg, FL. He received his M.A. in 1974 from The University of Texas. He received his Ph.D. specializing in organizational psychology and statistics in 1975 from Texas Christian University in Fort Worth, Texas. He was elected a Fellow of the Institute of Electrical and Electronics Engineers in 2007. Dr. Curtis is currently a Senior Vice President and Chief Scientist of CAST Software, Inc. He co-founded TeraQuest Metrics in 1993, which was acquired by Borland Software Corporation in 2005. During 1991-1992 he was the Director of the Software Process Program at the Software Engineering Institute (SEI) at Carnegie Mellon University in Pittsburgh, PA, where he remains a Non-Resident Affiliate. During 1983-1990 he founded the Human Interface Laboratory and later led Design Process Research at Microelectronics and Computer Technology Corporation (MCC) in Austin, Texas. During 1980-1983 he developed a global software productivity and quality measurement system at ITT Corporation’s Programming Technology Center. He entered software engineering in 1978 as the Manager of Software Management Research at Information System Programs in General Electric’s Space Division (now a division of Lockheed Martin) in Arlington, VA. He started his career as a Research Assistant Professor in the Organizational Research Group at the University of Washington where he also taught statistics in the Department of Psychology. Dr. Curtis initiated the project to create the Capability Maturity Model  (CMM) in 1991 after he had been selected to succeed Watts Humphrey as the Director of the SEI’s Software Process Program. The CMM integrated the software development best practices the SEI had been collecting into Humphrey’s Process Maturity Framework . The result was the release of CMM for Software Version 1.0 in August of 1991 and Version 1.1 in January of 1993 . Along with his co-authors Mark Paulk, Charles Weber, and Mary Beth Chrissis, he published the CMM as a book in 1995 . CMM has became the world’s de facto standard for evaluating the capability of a software development organization. Throughout the 1990s he promoted the CMM to companies and government agencies in the U.S, E.U., and Asia, contributing to its global adoption. Dr. Curtis was among the first to realize that Humphrey’s Process Maturity Framework was a unique model of organizational development that challenged conventional wisdom on how to conduct organizational improvement programs and could be applied to organizational processes far beyond software development. With his background in organizational psychology, he proposed applying Humphrey’s framework to human capital management practices. Working with Bill Hefley and Sally Miller, he created the People CMM , validating the broad applicability of the Process Maturity Framework. The People CMM stages the implementation of increasingly sophisticated human capital management practices across the five levels of organizational maturity proposed by Humphrey. The People CMM has been used by several Fortune 200 companies to guide workforce development programs, and has been widely adopted by offshore system integrators and outsourcers to help manage the rapid growth of their workforces . With support from Nedbank in South Africa, Dr. Curtis and Charles Weber developed a Business Process Maturity Model (BPMM)  to extend the benefits of CMM and CMMI which are project-based, to the continous business processes of an organization. The BPMM includes several new innovations in maturity models based on a decade of experience in applying them to guide process improvement programs. The BPMM has been applied and validated in the banking, electronic equipment manufacturing, medical services, and gaming industries. The BPMM has recently become a supported specification (standard) of the Object Management Group’s Business Process Management Initiative. Dr. Curtis led a team at General Electric Space Division that was the first to prove experimental measurements that software metrics could be used to predict programmer performance and quality [8,9]. His group provided early leadership in studying programming practices experimentally [10,11], and he became an advocate for studying the psychological and behavioral processes of software development [12,13, 14]. He has promoted the use of advanced statistic methods in managing software productivity and quality [15,16]. In the 1980s Dr. Curtis led a team that conducted ground-breaking research on the software design process at MCC . Their research on how individuals and teams design software contradicted the existing theories on top-down, breadth first design, and demonstrated that software design is a more opportunistic process [18,19]. This research has been cited as one of the justifications for agile software development methods . The publication of his research on the design of large software systems  was contributed to the shift from focusing on software development technology to focusing on the software process. He identified the thin spread of application domain knowledge, communication and coordination breakdowns, and volatile requirements as the biggest problems in developing large systems. Dr. Curtis recently assisted the Software Engineering Institute and Object Management Group in initiating the Consortium for IT Software Quality (CISQ). CISQ is a consortium of industry executives addressing the need to standardize the measurement of business application software and use these measures in development and contracting. Dr. Curtis is the founding Executive Director of CISQ. In 1980 Dr. Curtis obtained funding for and initiated the first of what has become the CHI conferences sponsored by the Association for Computing Machinery . The CHI conferences are the world’s leading forum for research and practice in user interface technology and engineering. In 1983 he launched the Human Interface Program at MCC to integrate artificial intelligence technology with graphical and tactile interface devices . He promoted user interface engineering  and participated in the user interface community’s effort to resolve the confusion over copyright and patent law applied to user interfaces . Paulk, M.C., Curtis, B., Chrissis, M.B., Weber, C.V. (1993) Capability Maturity Model: Version 1.1. ”IEEE Software”, 10 (4), 18-27. Curtis, B., Hefley, W.E., & Miller, S. (2003). Experiences applying the People Capability Maturity Model. ”Crosstalk: The Journal of Defense Software Engineering”, 16 (4), 9-13. Weber, C.V., Curtis, B., & Gardiner, T. (2006). ”Business Process Maturity Model”. Needham, MA: Object Management Group. Curtis, B., Sheppard, S.B., Milliman, P., Borst, A., & Love, T. (1979). Measuring the psychological complexity of software maintenance tasks with the Halstead and McCabe metrics. ”IEEE Transactions on Software Engineering”, 5 (2), 96-104. Curtis, B., Sheppard, S.B., and Milliman, P. (1979). Third time charm: Stronger prediction of programmer performance by software complexity metrics. Proceedings ”of the 4th International Conference on Software Engineering”. Washington, DC: IEEE Computer Society, 356-360. Sheppard, S.B., Curtis, B., Milliman, P., & Love, T. (1979). Modern coding practices and programmer performance. ”IEEE Computer”, 12 (12), 41-49. Curtis, B., Sheppard, S.B., Kruesi-Bailey, V., Bailey, J., & Boehm-Davis, D. (1988). Experimental evaluation of software specification formats. ”Journal of Systems and Software”, 9 (2), 167-207. Curtis, B. (1980). Measurement and experimentation in software engineering. ”Proceedings of the IEEE”, 68 (9), 1144-1157. Curtis, B., Soloway. E., Brooks, R., Black, J., Ehrlich, K., & Ramsey, H.R. (1986). Software psychology: The need for an interdisciplinary program. ”Proceedings of the IEEE”, 74 (8), 1092-1106. Curtis, B., Seshagiri, G.V., Riefer, D., Hirmanpour, I., Keeni, G. (2008). The case for quantitative process management. ”IEEE Software”, 25(3), 24-28. Pfleeger, S.L., Jeffery, R., Curtis, B., & Kitchenham, B. (1997). Status report on software measurement. ”IEEE Software”, 14 (2), 33-44. Curtis, B. Insights from empirical studies of the software design process. . ”Future Generation Computing Systems”, 7 (2-3), 139-149. Guindon, R. & Curtis, B. (1988). Control of cognitive processes during design: What tools are needed? ”Proceedings of CHI’88”. New York: ACM, 263-268. Walz, D.B., Elam, J.J., & Curtis, B. (1993). Inside a software design team: Knowledge acquisition, sharing, and integration. ”Communications of the ACM”, 36 (10), 62-77. Curtis, B., Krasner, H., & Iscoe, N. (1988). A field study of the software design process for large systems. ”Communications of the ACM”, 31 (11), 1268-1287. Borman, L. & Curtis, B. (1985, Eds.). ”Human Factors in Computing Systems-II”. New York: North-Holland. Curtis, B., Kuntz, R., Hollan, J., Mountford, S.J., & Collier, G. (1991). Retrospective on the MCC Human Interface Laboratory. Proceedings of CHI’91. Reading MA: Addison-Wesley, 373-376. Curtis, B. & Hefley, B. (1994). A WIMP no more: The maturing of user interface engineering. ”Interactions”, 1 (1), 22-34. Curtis, B. (1989). Engineering computer ‘look and feel’: User interface technology and human factors engineering. ”Jurimetrics”, 30 (1), 51-78. * Weber, C.V., Curtis, B., & Gardiner, T. (2006). ”Business Process Maturity Model”. Needham, MA: Object Management Group. * Borman, L. & Curtis, B. (Eds.). (1985). ”Human Factors in Computing Systems-II”. New York: North-Holland. * 2001. Curtis, B. So you Wanna Be a Cowboy. ”IEEE Software”, 18 (2), 110-112. * 2000. Curtis, B. From MCC to CMM: Technology transfers bright and dim. ”Proceedings of the 22nd International Conference on Software Engineering”. Los Alomitas, CA: IEEE Computer Society, 521-530. * 1992. Curtis, B., Kellner, M., & Over, J. Process modeling. ”Communications of the ACM”, 35 (9), 75-90. * 1991. Humphrey, W. & Curtis, B. Reply to ‘A Critical Look’. ”IEEE Software”, 8 (4), 42-46. * 1981. Curtis, B. Substantiating programmer variability. ”Proceedings of the IEEE”, 69 (7), 846. * 1979. Curtis, B., Smith, R.E., & Smoll, F.L. Scrutinizing the skipper: A study of leadership behaviors in the dugout. ”Journal of Applied Psychology”, 64 (4), 391-400. * 1979. Smith, R.E., Smoll, F.L., & Curtis, B. Coach effectiveness training: A cognitive-behavioral approach to enhancing the relationship skills in youth sports coaches. ”Journal of Sports Psychology”, l (l), 59-75.